Serving Madison and surrounding Counties since 1967, we provide dependable Hvac service and quality Trane products to our Richmond-area customers. 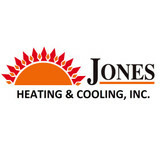 Now as a certified Trane Comfort Specialist™ Dealer, Jones Heating & Cooling, Inc. meets the highest performance standards in the business - from employee training to customer care. We're fully qualified to help you select the comfort system that best fits your home and your budget. The mission of ProTech is to provide honest, reliable service that stands head and shoulders above the rest. 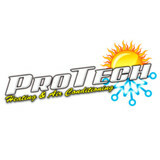 ProTech Heating and Air Inc is family owned and operated. Our goal is to provide the utmost comfort to you and your family no matter the climate. We continually strive to exceed expectations by ensuring that each client receives the very best service from our friendly and knowledgeable HVAC service technicians. Whether you need to replace your current air conditioning unit or request a service call for routine maintenance on your heater, rely on a company that offers unparalleled knowledge, experience and expertise. Whether you need a routine maintenance check or an emergency repair on a heating or cooling unit, we are available to handle all of your all of your heating, cooling and ventilation needs. We continually strive to exceed expectations by ensuring that each client receives the very best service. We are your Authorized Carrier Dealer and Nest Pro! We serve both residential and commercial clients and offer a variety of money-saving solutions for your heating and cooling needs. We combine our use of the highest quality parts and equipment, and our dedication to delivering exceptional service to provide you with top quality service. Top rated service! Give us a call---we've got you covered! If you're looking for heating and cooling services or expertise in Lexington, look no further than Kelley Mechanical. We've been around since 1978, so our staff is knowledgeable and fully trained on a full range of HVAC products, maintenance, technology – you name it. Thornberry Bros. was founded in Winchester in 1991. We have a professional and fully trained staff, so you can trust in the quality of our work. We're committed to getting the job done quickly and correctly 100% of the time. Locally owned, we have local employees with a primary focus on Winchester. We have 41 years of local experience and continue supporting Habitat for Humanity, and the Family Resource Center for Strode Station. ClimateMaster is the world’s largest manufacturer of residential ENERGY STAR® qualified geothermal heat pumps for heating and cooling. Our entire product line is designed to improve your quality of life by providing exceptional comfort, lower utility costs, and creating superior indoor air quality, all while minimizing the impact on the environment. Our innovative and high efficiency residential geothermal heating and cooling systems are backed by a ten-year limited warranty on all unit parts and a service labor allowance for the first five years on unit parts. AAA Heating & Air Conditioning Service, Inc.
AAA Heating & Air Conditioning Service Inc. is a full service residential and commercial heating and cooling company you can trust to serve your best interests. When you call on us to handle your indoor comfort needs, we put our experience and expertise to work for you, delivering affordable and rewarding solutions to every challenge. Whether you are in need of new installation, system replacement, seasonal upkeep, repair, or air quality improvement, our highly trained team of professionals utilize leading-edge technology and proven procedures to ensure peak performance from your equipment. Safety, efficiency, reliability, longevity, and precision control add up to a productive and enjoyable indoor home and work environment. Skilled and conscientious workmanship meet your expectations for sustainable results. At AAA Heating & Air Conditioning Service Inc., we work tirelessly to earn your recommendation. If you are in need of a Richmond air conditioning system replacement, repair, or looking for an annual maintenance tune-up, our expert HVAC technicians are here when you need us. We provide free estimates on system changeouts and provide upfront pricing on all repairs. 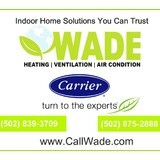 We can service or repair any make or model of HVAC system. 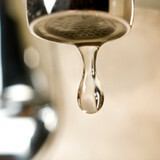 We also work on commercial regrigeration adn service Richmond and a 30+ mile radius. Generally, Lexington HVAC contractors or HVAC technicians work with or run companies that repair or install heating systems and air conditioning units for homes. But they have specialized services too. For example, if you are a wine collector and you are thinking of installing a wine cellar in your Lexington, KY home, you might hire a Kentucky HVAC professional who specializes in refrigeration work. HVAC professionals can use their skills to help you to save money on your Lexington, KY home’s energy bills by installing radiant barriers in your attic or split-zone heating and cooling systems to heat rooms like solariums while cooling upstairs bedrooms during warmer temperatures. Find HVAC contractors on Houzz. Look in the Professionals section of our website and search for Kentucky HVAC contractors. Read reviews and see how an HVAC contractor might approach your Lexington, KY home’s heating and cooling challenges.